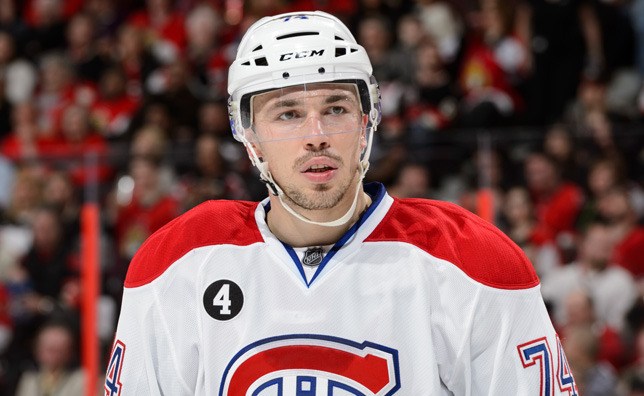 MONTREAL – Alexei Emelin is eagerly anticipating the start of his fifth NHL campaign. Working out and skating alongside the likes of young guns Nikita Scherbak and Sven Andrighetto at the Bell Sports Complex in Brossard on a daily basis, the 29-year-old rearguard has a number of personal goals in mind, all of which would go a long way towards helping Michel Therrien’s troops achieve their ultimate objective come next summer. Emelin certainly won’t be the only Habs regular looking to increase his offensive output in 2015-16. Fortunately, the Russian defender believes help is on the way in the goal-scoring department in countryman Alexander Semin, who is coming off the least productive season of his NHL career in Carolina. Before getting back to the business of hockey, Emelin spent some quality time overseas with his family, vacationing in the Maldives with his wife, Valentina, and his daughters, eight-year-old Lesya and three-year-old Mila, ahead of returning to Russia for a three-week stay. There, Emelin went about his off-ice workout routine, pounding the pavement to up his cardiovascular strength. Last week, the Canadiens’ No. 74 headed back overseas for three days, hitting the ice in Kazan to participate in a charity hockey game organized by former NHLer Ilya Kovalchuk. Emelin & Co. raised almost $125,000 USD for local orphanages in a game that also served as a farewell contest to the rugged defenseman’s good friend and former KHL teammate, Alexei Morozov, who announced his retirement last August.